Criminal Trail Defense Lawyers - Oberheiden, P.C. When May Evidence Be Suppressed from Use at Trial? The exclusionary rule bars prosecutors from using evidence obtained in contravention of a defendant’s constitutional rights as evidence of that defendant’s guilt at trial. Essentially, the exclusionary rule is the mechanism by which defendants can suppress illegally obtained evidence. The exclusionary rule only applies in criminal cases, and its application is heavily limited by a complex series of judicially manufactured exceptions. Critical to an understanding of the exclusionary rule is a recognition of its purpose: it was created as a means to deter police misconduct, not as a device to protect individuals’ constitutional rights. The exclusionary rule is personal in nature; therefore, a person may only assert the exclusionary rule if his own constitutional rights were violated. He cannot move to suppress on the basis that someone else’s constitutional rights were violated. With regard to Fourth Amendment rights, a person must have a reasonable expectation of privacy in the space illegally searched in order to have standing to seek suppression of evidence obtained during the search. For example, if agents illegally search a house with four guests in it and find evidence, only the house owner may have standing to move for suppression of the evidence because only the owner would have a reasonable expectation of privacy. The scope of the exclusionary rule is often described using an analogy to “the fruit of the poisonous tree.” Like fruit that falls from a poisonous tree is bad, evidence that is produced from an illegal search or arrest is bad. In other words, if a search or arrest is deemed illegal, any evidence collected pursuant to or resulting from that search or arrest will also be deemed illegal and thus within the scope of the exclusionary rule. The good faith exception is the one that is most commonly used to avoid application of the exclusionary rule. Under the good faith exception, if a law enforcement agent executes a warrant with an objectively reasonable “good faith” belief that the warrant is valid, then the exclusionary rule will not prevent admission of evidence obtained pursuant to that warrant, even if the warrant is later determined to be invalid. Examples of the good faith exception include where agents act on a warrant they believe demonstrates probable cause but is later held to not show probable cause or where agents act on a warrant that later proves to be technically defective. The good faith exception does not apply where a law enforcement agent’s reliance on a warrant is not objectively reasonable. The Supreme Court has recognized five circumstances under which reliance on a warrant would not be objectively reasonable: 1) the magistrate relied on a deliberately or recklessly false affidavit when issuing the warrant; 2) the magistrate merely rubber-stamped the warrant; 3) the affidavit underlying the warrant was so lacking of probable cause that the magistrate’s reliance on it was unreasonable; 4) the warrant was so facially defective that the agent’s reliance on it was unreasonable; and 5) law enforcement agents recklessly or deliberately maintained false information in a database to facilitate future arrests. Under the independent source exception, even if government agents participate in illegal investigatory practices, the government will not be barred from using evidence if it can prove that the evidence derived from sources independent of the illegal practices. 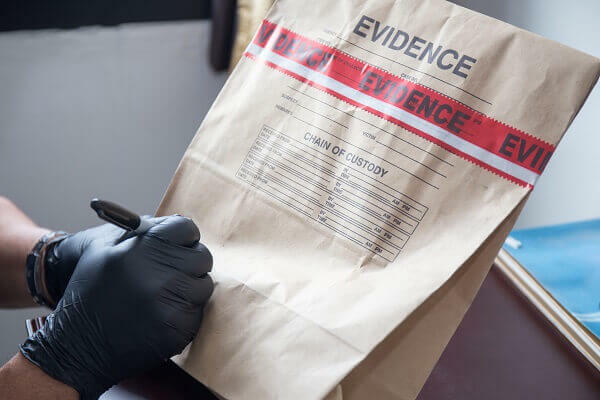 Similarly, under the inevitable discovery exception, the government will not be prohibited from using illegally obtained evidence if it can demonstrate that it would have inevitably discovered the evidence via independent and lawful means. Pursuant to the collateral use exception, the government may use illegally obtained evidence for any use other than the prosecution’s case-in-chief in the criminal case against the defendant, such as in habeas proceedings, grand jury proceedings, civil tax proceedings, civil deportation proceedings, parole revocation hearings, and sentencing hearings. Have federal agents conducted a search of your home or business? Call the experienced defense attorneys at Oberheiden, P.C. today to see how we may be able to help you with your case. All consultations are free and confidential.